"Mark, this is Alexa. Alexa, this is Mark." "Pleased to meet you," she says. "Pleased to meet you," I say. "You're very tall," I add. "Thanks, I get that a lot," she says. 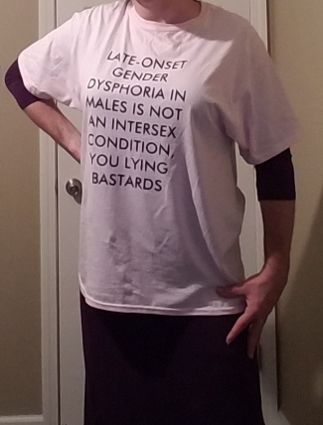 "What's your shirt about?"